I paint at my dining room table. When I’m working on a painting, we eat our meals at the coffee table. 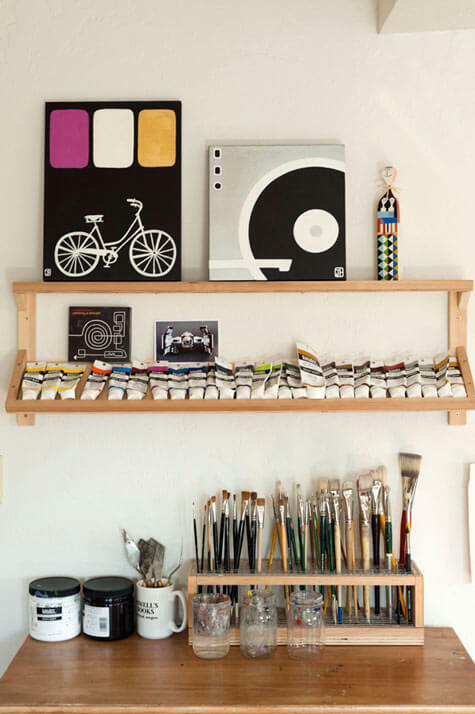 I’ve been staring at this photo from Design Sponge for quite a while. I’d love to have a setup like this and I’m going to try and make it happen. This entry was posted in home, organization, painting. Bookmark the permalink.